Hello and welcome back to another update of the Forgotten Hope Mod. Another week has passed and we have some progress to show. And as we know many of you are eager to get their hands on Forgotten Hope 2. But before asking for release dates you should be aware that very much effort has to be put into everything concerning FH2. And after you have seen this update you will understand why it'll be worth the wait. But before we come to the interesting stuff we have something on our own account. MOD DATABASE V3 has started the search for the best mods of '05. If you think Forgotten Hope deserves this prize it is time for you to vote now. You can do so here. 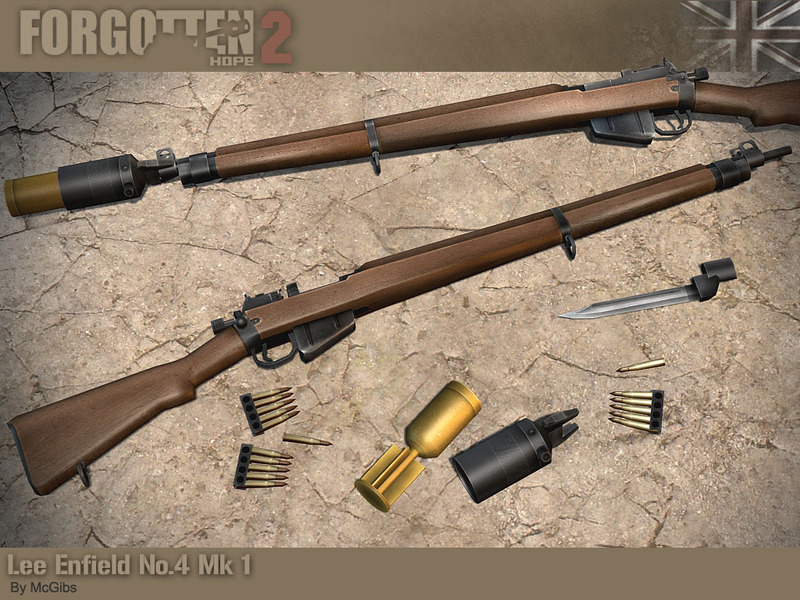 Now that you have voted, we have two British weapons in stock for you today. 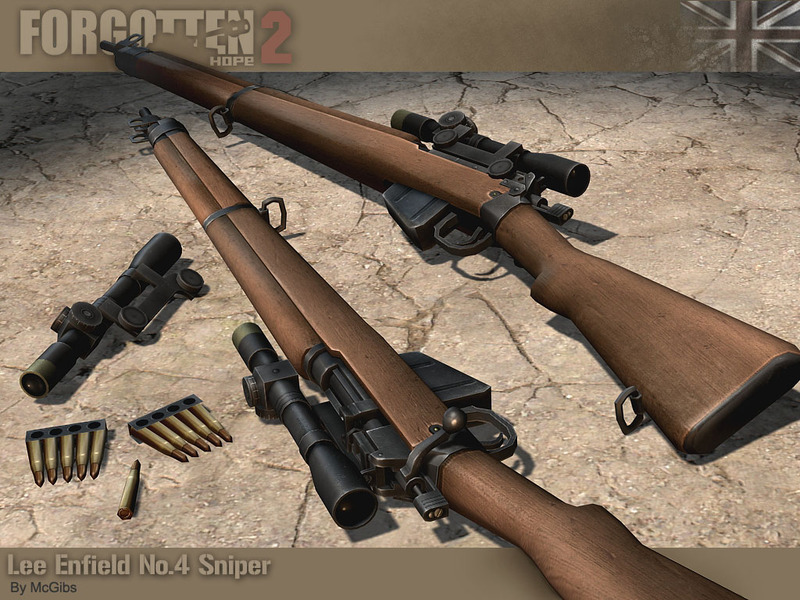 Probably you remember them very well from Forgotten Hope for Battlefield 1942 - and if you are in doubt you see the same weapons today as they were within FH, no one will blame you for that. 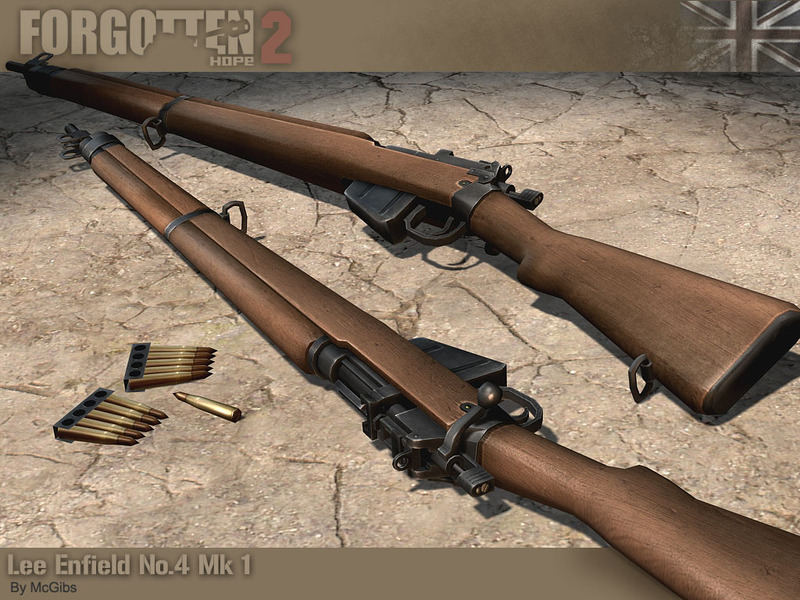 It's just that McGibs and D_Fast did an excellent job with the creation of the Lee Enfield No.4 Mk 1 and the Thompson M1928A1 better known as Tommygun. 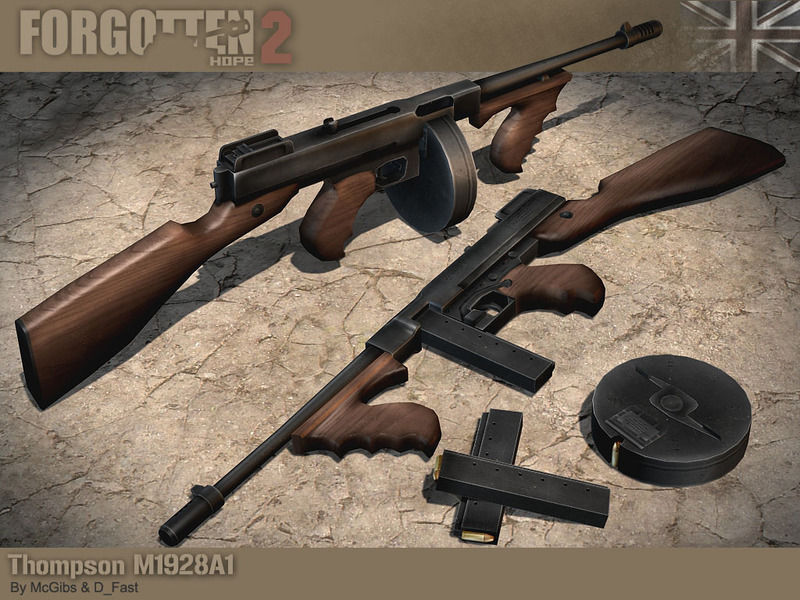 Both guns have been made from scratch and the result is a must see! And we think that you now do understand why FH2 is that much time consuming in creation.